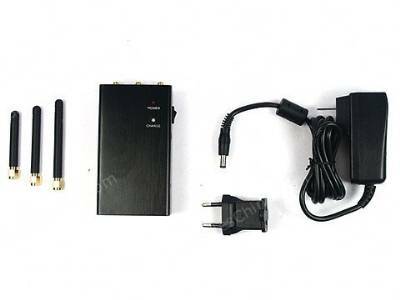 This advanced 2.4 GHz jamming device utilizes unique and intelligent technique that interferes the video signals of wireless camera, also can block the communication of wireless LAN and Bluetooth. 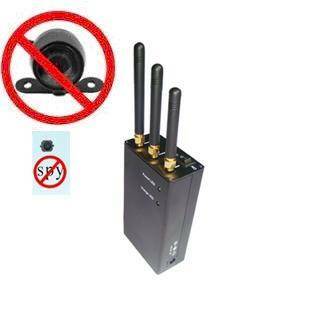 Ensure a safety environment free from hidden wireless camera and body bug or to avoid wireless data communication being collected secretly by competitor or business spy. * Output power: about 100mW. 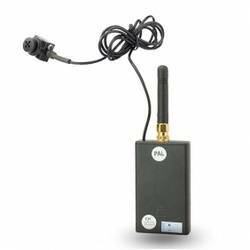 * Antenna: Swivel type 360 degree rotary adjustment and 90 degree adjustment. * Effective range: about 10 meters radius. To block video signals, one jammer can cover an individual room of 3500 square feet (about 315 square meter). Easily operated and user-friendly, no hassle installation needed, need no professional knowledge or skill, a portable device to suit everyone, everywhere and anytime. 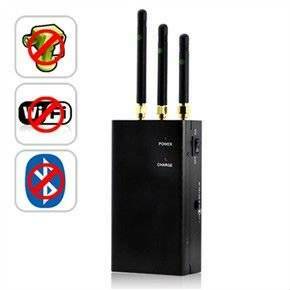 * Home and any private place where want to prevent peeping camera or body bug. * Conference room and office where protect information being collected secretly.